Dental crowns are among the most popular restorations in modern dentistry, and have been throughout much of history. The small tooth-like replicas are designed to fit over the top portion of an afflicted tooth, protecting it from damage as you bite and chew. Traditionally, placing a dental crown required an initial appointment to prepare and measure the tooth, and another to place the dental crown after it had been fabricated at an off-site dental laboratory. Using advanced CEREC technology, the doctors at Austin General Dentistry are able to perform a complete dental crown procedure in the same day, making your treatment more time-efficient. 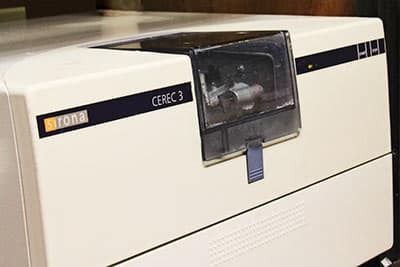 CEREC, which stands for Chairside Economic Restoration of Esthetic Ceramics, is an innovative system of computer-aided design and manufacturing of lifelike dental crowns and other restorations. The technology takes several high-definition digital images of your teeth and dental ridges from several different angles, taking precise measurements of your mouth and the tooth that needs the crown. 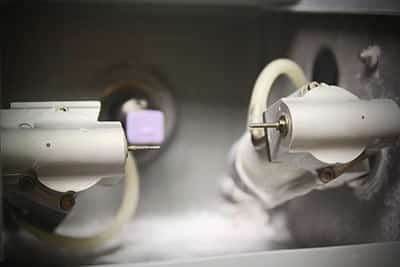 The measurements are sent to an onsite milling machine, which will automatically craft your porcelain dental crown according to the digital specifications. The entire process can be completed in only a couple of hours, all during the same dental visit.